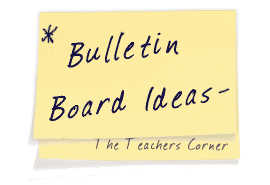 The Art Bulletin Board Ideas page will provide you with great resources for a number of art related topics. Our bulletin boards will help you integrate various activities into your daily curriculum. Ideas within the art bulletin board pages include resources for the following: displaying student work, artists, and art techniques. Materials: Powdered or liquid tempera paint, liquid starch, liquid detergent (optional), paper with a glazed surface (butcher or shelf paper), newsprint or newspapers to cover table, sponges and paper towels, source of water for cleanup (a bucket filled with water if sink is not available). Procedure: Pour one or two tablespoons of liquid starch onto paper. Sprinkle powdered or undiluted tempera over it. Children use hands to spread starch and paint over paper to make a pleasing design or simple picture. Encourage them to experiment with using different parts of their hands. Students then place cutout pictures of their favorite subject on wet painting, or paste them on when painting is dry. Also used this procedure for mural backgrounds. Create a stunning classroom display that showcases your students strengths and goals with this multidisciplinary art activity. Materials: Silver Metallic paper and Cray-Pas or oil pastels, small mirrors. Children spend some time looking in the mirror before drawing a self portrait on shiny silver paper. I use 12x18 sheets, or if I have time I precut ovals to represent a \'Mirror.\' After the portrait is fully colored in with oil pastels, I have students design, measure, cut and assemble a frame from construction paper. These framed portraits hang on a bulletin board titled "SELF REFLECTIONS" and below each portrait is a short piece of writing describing what each student defines as their strengths and their goals. Older students write these self reflections during first wee writing time, and younger students dictate to a scribe on the computer. If you have an art lesson for Fall, especially involving landscapes, trees, or leaves, either buy some fake Fall leaves or press your own colorful leaves. Then cover your bulletin board with yellow, gold, brown or orange paper, pin the artwork here and there at angles, and scatter the leaves in the spaces between. Please EMAIL us your favorite Art Bulletin Board!